By Charles Boehm – WASHINGTON, DC (Apr 5, 2019) US Soccer Players - The USMNT U-20s are now less than two months away from the FIFA U-20 World Cup. Both optimism and uncertainty are swirling. The tournament, which the USMNT opens vs Ukraine on May 24, is the culmination of the U-20s’ biennial cycle and a potentially life-changing event for those who take part. One of the world’s most prominent spotlights for young talent, it’s well-attended by pro scouts. A good performance or two can catapult a player’s career into a different stratosphere. This year’s edition stands to offer particularly optimal conditions in that regard. Hosted by Poland, it’s a convenient location for most European clubs. It falls at a point in the calendar where both Europe and North America-based players have a chance to be fit and sharp when they report for duty. Adding to the pressure, the international summer transfer window opens a few weeks after its conclusion, putting participants in the shop window at an opportune moment. The occasion can also give USMNT fans a preview of the senior squad’s future. Recent USMNT call-ups Kellyn Acosta, Paul Arriola, Marky Delgado, Jeremy Ebobisse, Matt Miazga, Josh Sargent, and Zack Steffen are among those who’ve used the U-20s level as a proving ground to one extent or another. With more young Americans than ever earning first-team professional minutes both at home and abroad, there’s reason for excitement about the possibilities. Many observers have described this year’s crop as one of the most stacked in years. Coach Tab Ramos submitted his preliminary 50-player list on Monday, and will select his final 21-player roster in a little under a month. He has already predicted that strong players will miss out due to the numbers game of roster selection. That signals some tough decisions for Ramos, who’s now on his fourth U-20 World Cup as a coach. That’s even if he doesn’t manage to negotiate the availability of all his first-choice selections from their respective clubs, who are not required to release players for youth events like this one. What’s more, he won’t be calling on age-eligible players who’ve already become core USMNTers like Tyler Adams. 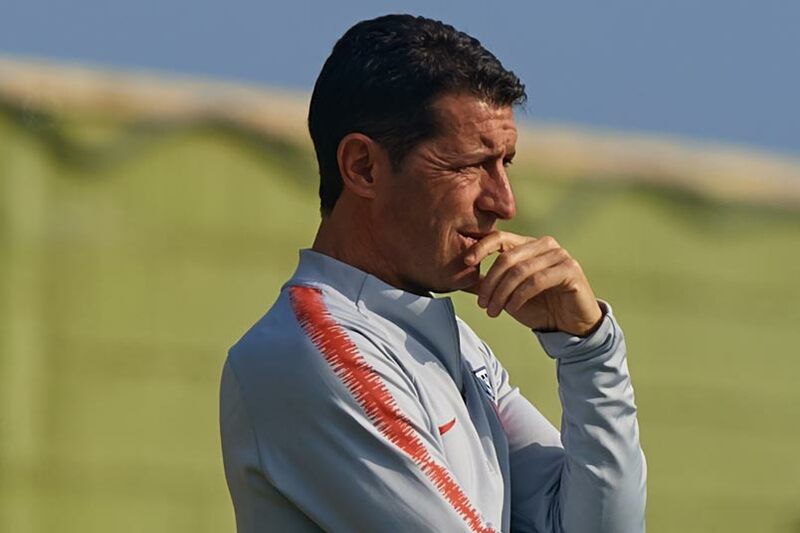 Last week Ramos and his staff wrapped up their final camp before they convene for World Cup prep, drawing 2-2 with France and beating Japan 2-1 in friendlies in San Pedro del Pinatar, Spain. The breakout performer was Christian Cappis, a Texas native who was probably way down Ramos’s list a few months ago but could now vault into the World Cup squad as he carves out his place at Danish club Hobro. Could this be the year when a rising tide of talent shifts the paradigm about young American players? While warning that it’s always difficult to properly scout U-20 World Cup opponents, Ramos is on record that a full-strength US team or something close to it could make a deep run this year. Teenagers like Timothy Weah and Chris Richards are earning the investment and trust of massive clubs like Paris Saint-Germain and Bayern Munich to an extent rarely seen before. On the home front, U-20- and occasionally even U-17-eligible players are racking up more and more MLS and USL minutes with each passing season. MLSsoccer.com’s Matthew Doyle recently documented how striking the new MLS campaign has been in that regard. The kids are not only getting minutes, but contributing with a combined six goals and five assists in 1185 minutes over the season’s first month. With more involvement come more strings attached, however. Clearing youth internationals for big tournaments like Poland 2019 has been a perennial problem between US youth coaches and European clubs, and now it seems that MLS teams may follow suit. The Philadelphia Union have over the past few months given the appearance of being reticent to release Homegrown center back Mark McKenzie. DC United and Atlanta have reportedly turned down similar call-ups of late. This poses a test to MLS’s newfound commitment to spotting, nurturing, and selling on young talent in the international market. It’s understandable that club coaches don’t want to do without regular starters for weeks on end during their regular season. Injuries are an inescapable risk on any international occasion. However, if the broader goal is to showcase their top prospects to maximize not only the visibility, but also the skill sets of the players, both club and league officials would be well-advised to get their ducks in a row. Juventus did not release a then-20-year-old Paul Pogba for the 2013 U-20 World Cup merely as a lark, but for the mutual benefit of the player and club. That move was only a small facet of the reported $117 million transfer fee they reaped from Manchester United for his services three years later, but the mentality at work is not difficult to decipher. Sending Ramos off to Poland with a full-strength U-20 squad next month stands to offer significant upside for all parties, including the full USMNT. In the coming weeks, we’ll find out just how receptive the relevant decision-makers are to his case.